Love Chinese food ? 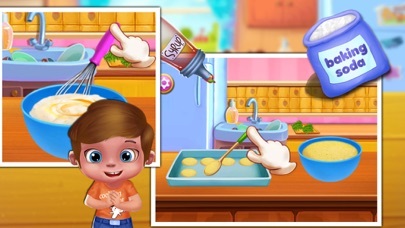 Love to bake cookies ? Love the cute little surprises hidden inside Fortune Cookies?! If yes then, surprise yourself and discover how to make these awesome small packages of fun - learn how to make fortune cookies!!! 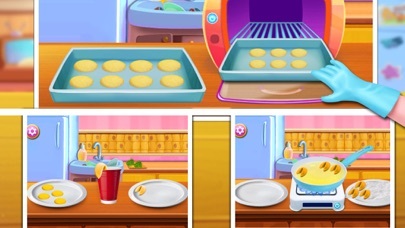 Bake the yummiest cookies in the very best fortune cookie maker salon game! 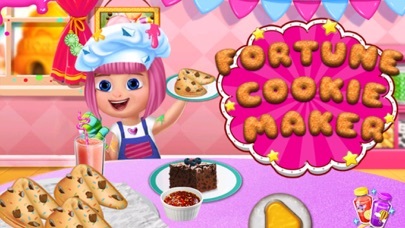 Mix, cut out, bake, and decorate cookies of cool shapes and sizes! And Fortune Cookies you never imagined is right here for you to cook. Now it's time to get started and taste your cookies. 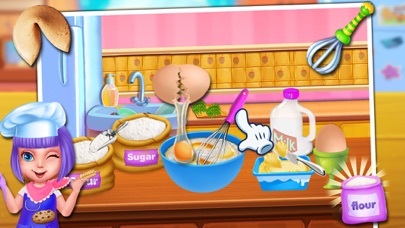 How to play: - Pick the ingredients to be used for your cookie - Add Flour, sugar, water and more - Prepare the batter & bake it in the oven - Use the touch screen to mix and shape your cookie treat - Fry the cookies , but make sure they don't get over-baked - Decorate your cookies using chocolate frosting or colorful sprinkles - Bake awesome fortune cookies and impress your family & friends! With Fortune Cookie Maker, no cooking experience is required to make the best fortune cookies. Be ready for hours of entertainment as you try to one-up your friends and family with cool designs and funny fates of fortunes. 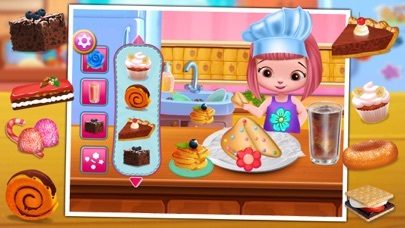 Choose from the option of adding decorations, such as chocolate frosting or colorful sprinkles. How many different combinations can you design? Finish your best designs and send them to your friends..